Look what we have for you now! 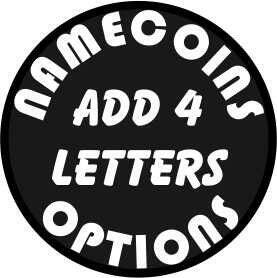 You can customize your coin by adding initials or numbers to your order. We hand cut each one with a small saw. We have been personalizing coins for our customers for almost 30 years now. Usually, she wears his and he wears hers. Let us know what you would like and we will hand cut them for you. It is the perfect gift for your special someone.